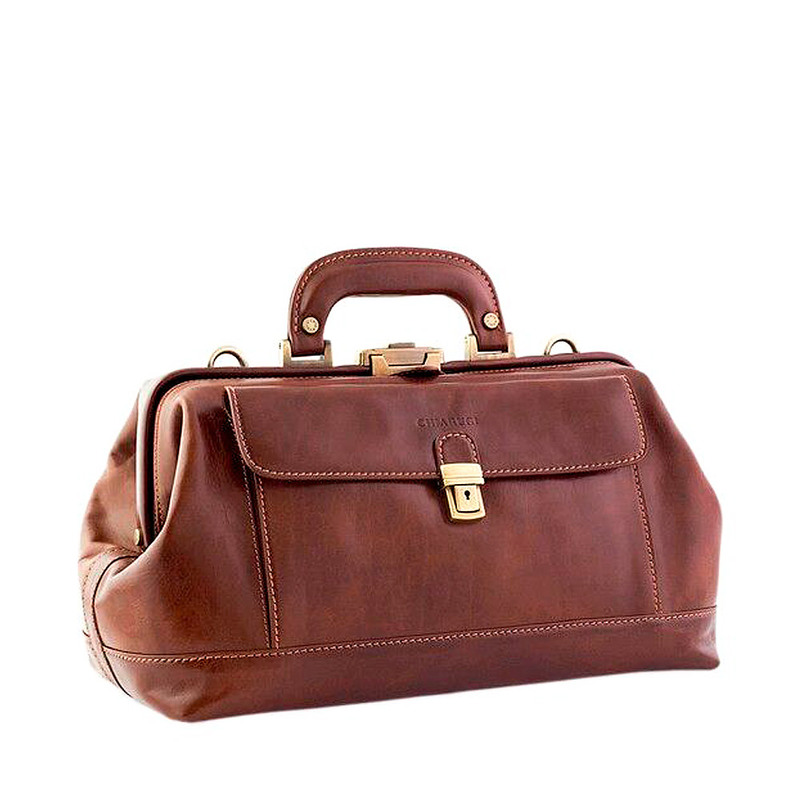 Avogadro is a vegetable tanned, black leather Doctor Bag, created according to the traditional leather processing system of the Leather District in Tuscany and with its simple and sober presence it inspires rigor and professionality. 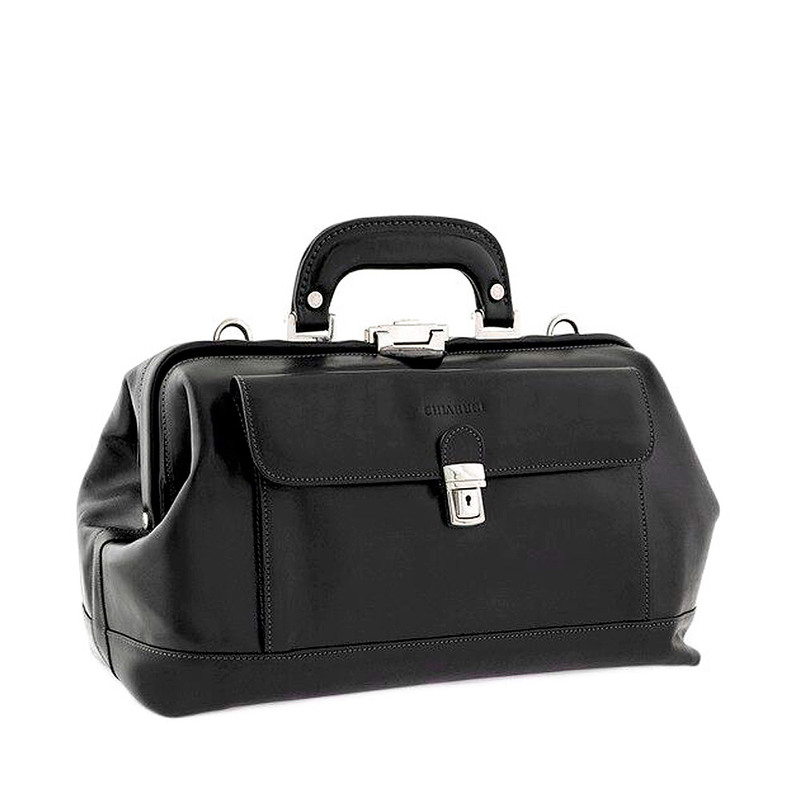 Equipped with a spacious grey fabric lined compartment with key locked closure and a comfortable frontal pocket, it is the lighter version of Galileo, the ideal to place all is needed to visit your patients. The leather handle and leather strap in pendant with a comfortable larger band to go with it, together with the entire bag's contemporary design, give it a unique and elegant style, this will help you alternate a classical and a more casual yet professional look.